Go on, admit it, you're reading this because of the title aren't you? Who wouldn't, it's chocolate! There's many of us that see that word, then fancy a bar. Yes, thanks to my diabetes, I am very limited in what I can eat. That doesn't stop me from buying it for my family........then having one little bite! But, when you fancy a bar of chocolate, what do you choose? How do you pick, from the many creations out there? What if you could choose your own? By that I mean, pick your own random topping, to suit your individual taste? I was recently asked to review Chocolat Chocolat. 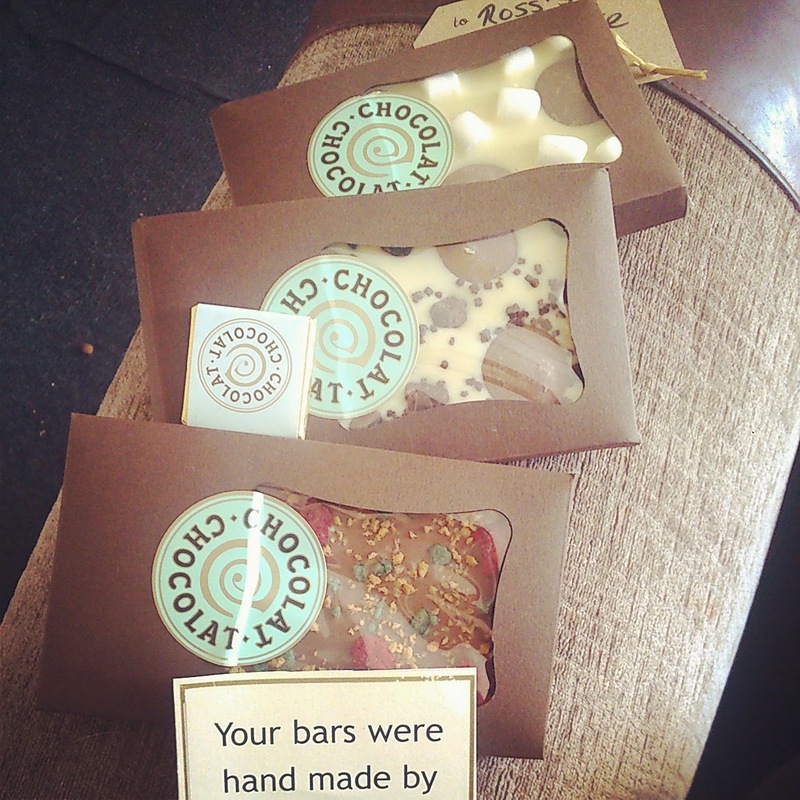 They are a Cambridge based company that hand make bars of chocolate, that you create! My 3 biggest boys (yes, I mean Mr. Ojo) were in heaven. The Teen: White chocolate bar with chocolate fudge brownie pieces, mint chocolate crisp and milk chocolate buttons. I had a little nibble (it really was just little, honest!) of each. They were beyond gorgeous! I'm not normally a lover of white chocolate, I just find it took sickly sweet, but this wasn't like that. It was really creamy, yet still tasted like white chocolate. 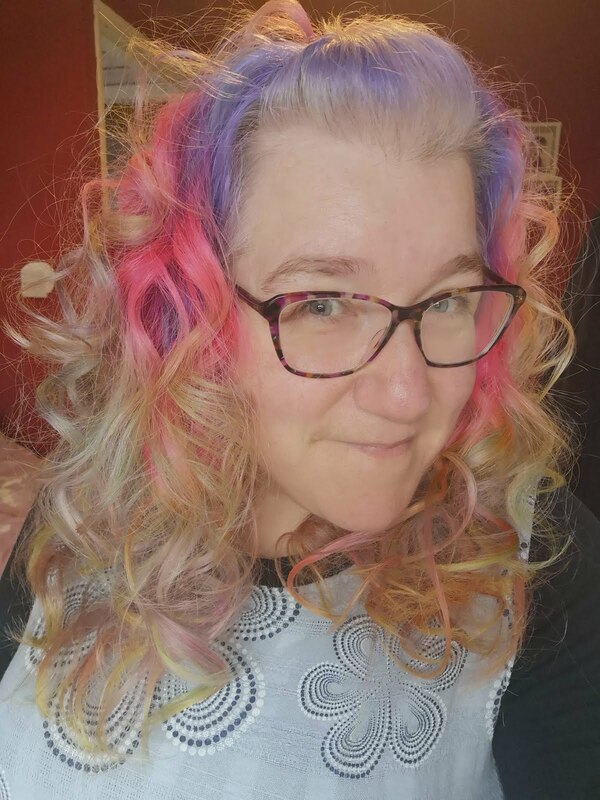 Granted, I barely got a sniff of the tweens and the misters was tasty, but the teens combination was definitely my favourite! 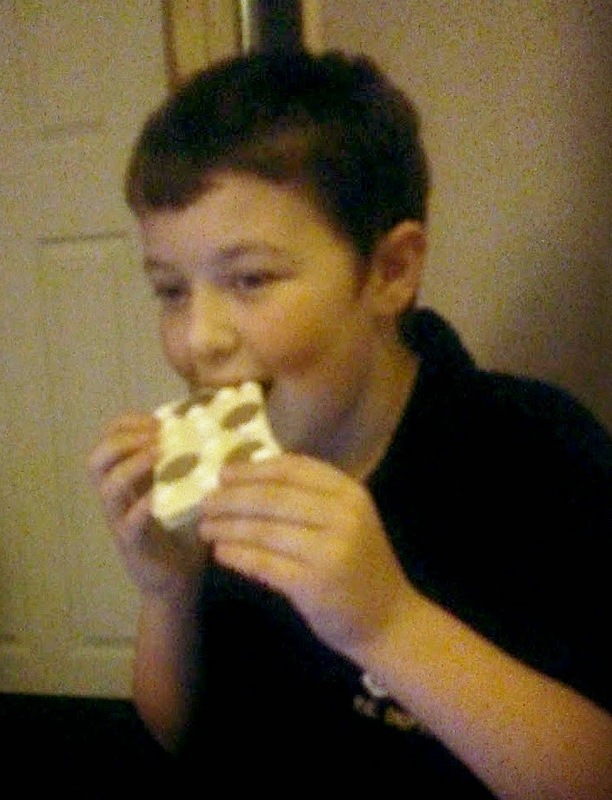 I wanted to share this pic of my tween eating a bar, to give you an idea of size. This is not a small bar of chocolate! I shall be ordering one for my grandmother's birthday, at 93 I'm limited on what I can buy her these days! I will also conquer the writing on the bar, so I can wish her a happy birthday! Oh! And as if that wasn't enough..........They do chocolate making and tasting sessions!!! So, shall I race you there?? Ohh yum!! All of that sounds absolutely delicious! I am such a chocolate addict. YUM!